This week we are welcoming a new (virtual) team member: the Kinja Deals Bot! What is the Kinja Deals Bot? 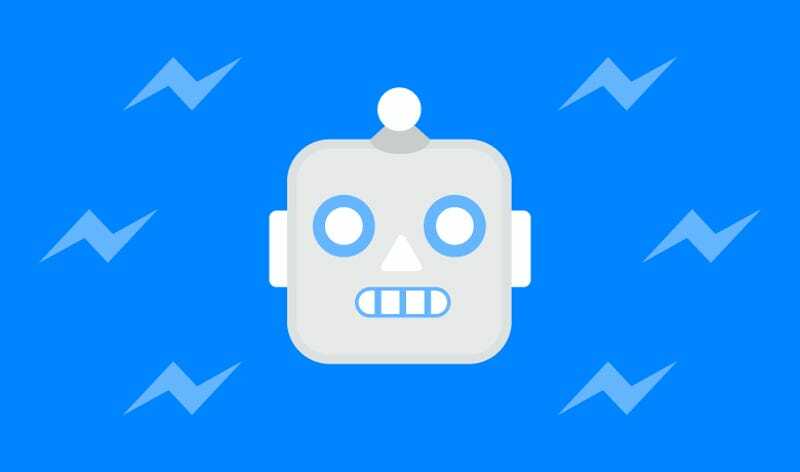 The Kinja Deals bot is a Facebook messenger bot that acts as an extension of the Fusion Media Group (FMG) Commerce team, which publishes Commerce-curated content about the Internet’s best deals and products to deals.kinja.com and gear.lifehacker.com. You can use the bot to be alerted to new deals posts that the Commerce team publishes. The option to subscribe to daily digest alerts when the Kinja Deals “Today’s Best Deals” post is published to Kinja Deals. The option to subscribe to any of 5 categories: tech, home, lifestyle, gaming, and media, which would alert the subscriber whenever relevant deals are posted (here’s an example of a post you might get if you subscribed to tech alerts). Subscribed users may also get alerts manually sent by the Commerce team, to let them know about upcoming events like Prime Day when category alert frequency may be higher than usual. Facebook might be the go-to social network for news consumption, but the deals space moves too fast for that. The Kinja Deals Twitter has been the only trusted source fast enough to cover events like the original Prime Day, but not everyone uses Twitter. Our new bot gives everyone an easy, lightweight, and fast way to never miss our deals, with no hoops to jump through. Our deals.kinja.com and gear.lifehacker.com sites reach 1.5MM monthly uniques, and our @KinjaDeals Twitter account has over 128k followers. Within the FMG network, our Commerce content is also shared to our sister sites including Gizmodo, Lifehacker, and Jalopnik — reaching over 75MM monthly uniques. With this, we are hoping to expand our content’s reach to a wider Facebook audience by providing a way for users to track products and deals that they care about. To interact with the bot, head over to the Kinja Deals Facebook page and hit the “Message” button. Once you begin a message thread with the bot, hit the “Get Started” prompt and then the bot will tell you what to do. At any time, you can unsubscribe from individual alerts or choose the option to stop all alerts at once. For more detailed info on how the bot works, take a look at our help desk entry. This is our first attempt launching a bot, and we’re curious to see how well it’s adopted by the Kinja Deals community and whether this type of tool could be useful for other use cases. We’ll be monitoring feedback on the Kinja Deals Bot to outline a V2, and seeing what we can learn before building out another bot. Let us know what you think in the comments!